Wet Felted Balls plus IMAGINATION! A few posts ago, I mentioned that I had made three felt balls by wet felting them in the washing machine. The first ball that I embellished, turned into a happy bumblebee. I worked during the next couple of days to turn the other two white wool balls into creatures. The second ball became a penguin, and the third morphed into a turtle. This was all simply, yet patiently achieved by needle felting details and perhaps a few wings to add on. The turtle was the only creature to remain basically a ball(but all three are fun to toss back and forth). He also has a jingle bell inside of him because my husband was feeling experimental. I think the bell would have made more sense with the bumblebee, say as a buzzing sound. 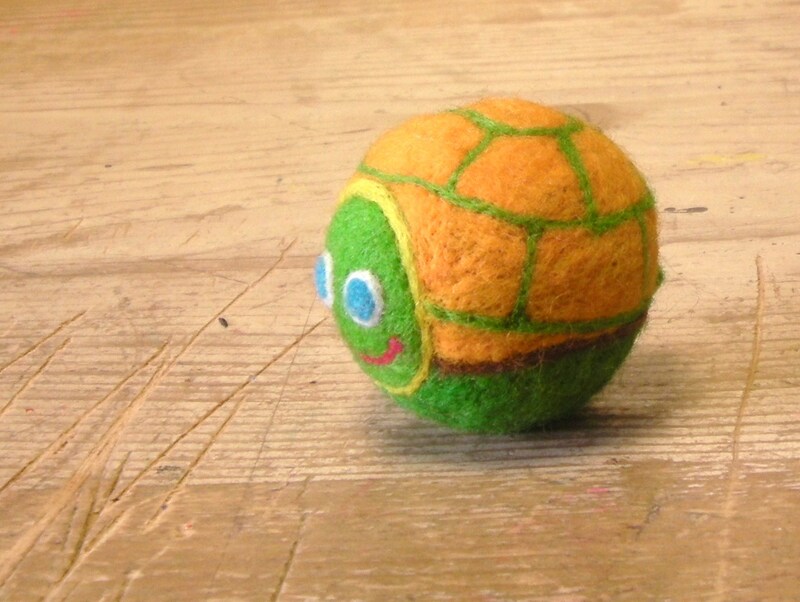 But I really wanted to make a turtle, and the only ball left had a jingle! But truly, when it comes to kids anything can jingle and it’s more fun. That extra sensory element really delighted me. I think I might incorporate it into future toys as well, see husbands can be very useful when it comes to crafts! The good thing about a jingle inside of wool is that it muffles the noise; making just enough sound for the child playing with it, but not enough to disturb the parents while the child is shaking it over and over again! 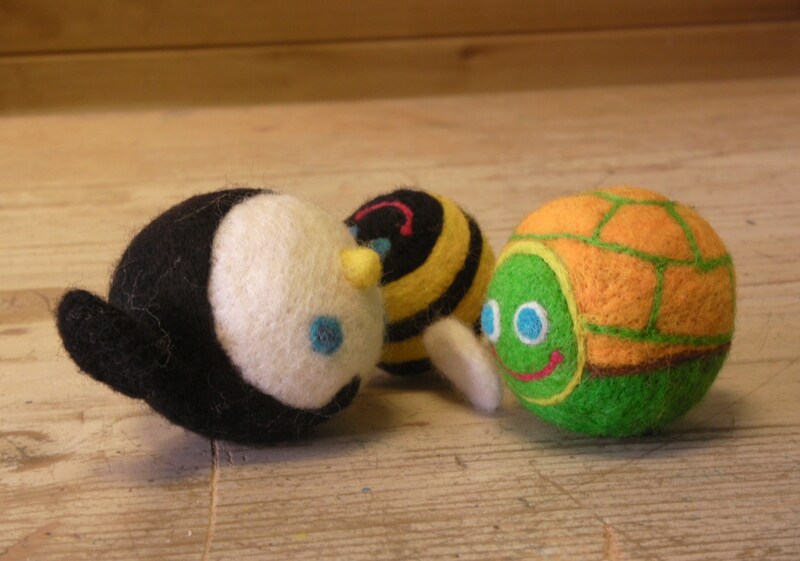 Turning felt balls into toys has been really fun with these past three creatures. Because they were wet felted somewhat mechanically, I only had to focus on the details and not the sculpting. And honestly, the details are my absolute favorite part. I will probably make a few more toys with this method before moving on to new territory. Feel free to give it a try too, it’s a fun way to be creative and great practice for mastering the details. Woow… it’s so nice to see the toys that very cute… I feel like I’m at the toy situation.. Cheerful… Peaceful.. LoVe It! How you do it? ?